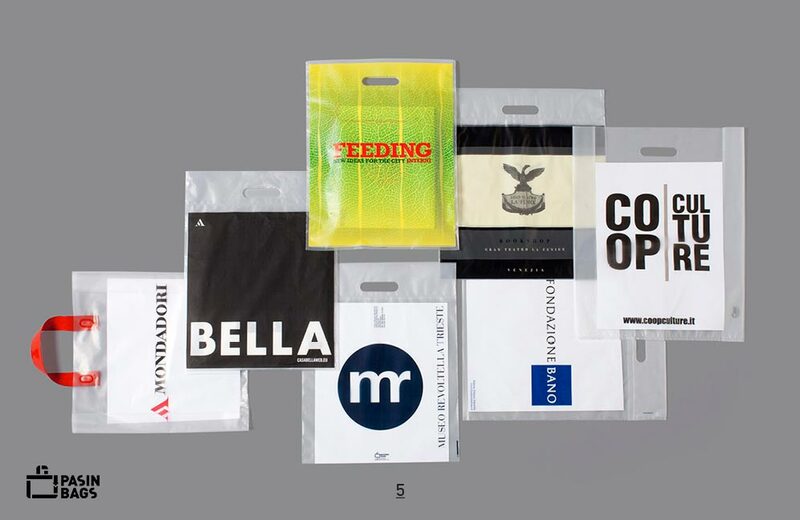 High- or low-density plastic materials, different sizes available, handle with die-cut opening or bands either heat-sealed or applied with metal studs, customisable with any printing technique, for large print runs or for premium products, including lined or pocketed interior. 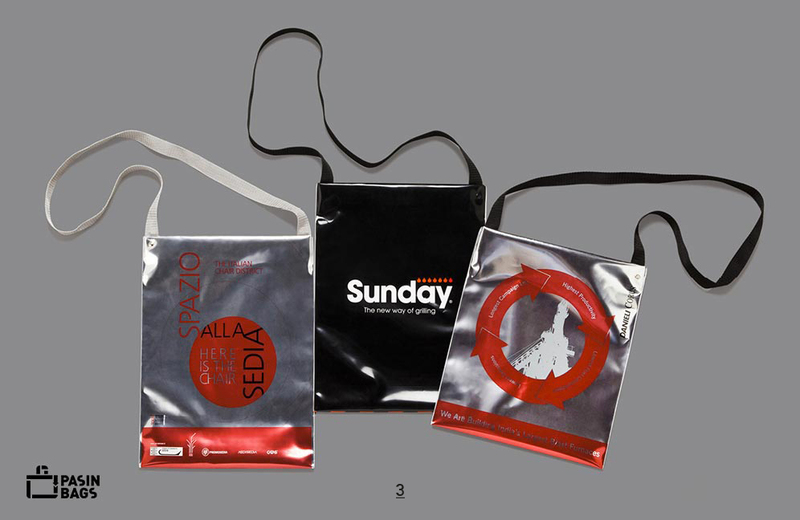 Pasin Bags plastic bags can be customised and make an effective communication and marketing tool. They come in several different sizes and can be made of high-density (HD) plastic or in the more lightweight low-density (LD) plastic material. 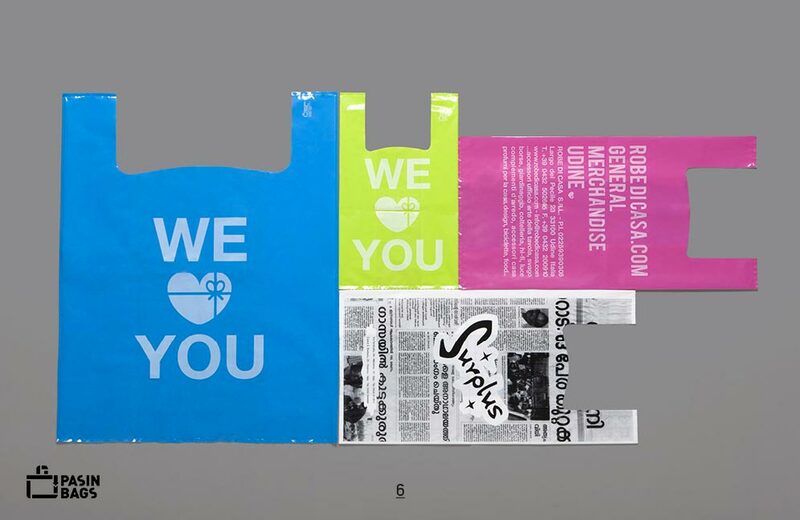 The plastic shoppers can be customised with 5-colour flexographic prints. 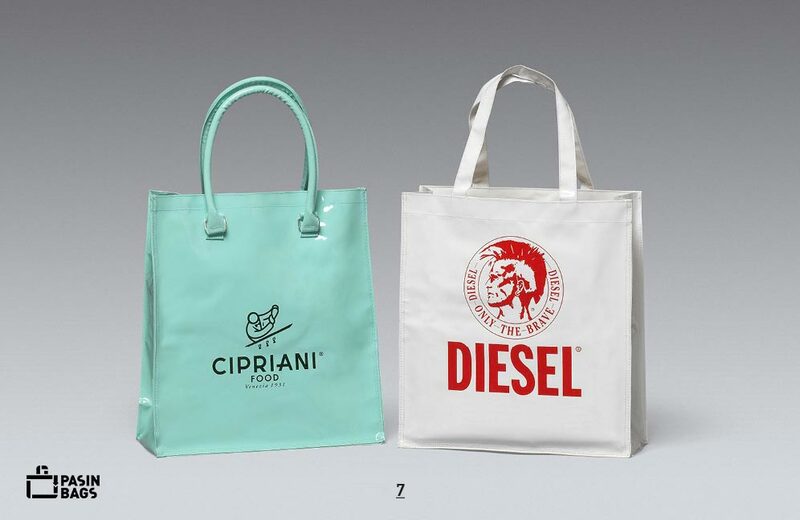 The PVC-coated shoppers by Pasin Bags are produced with highly resistant plastic material. 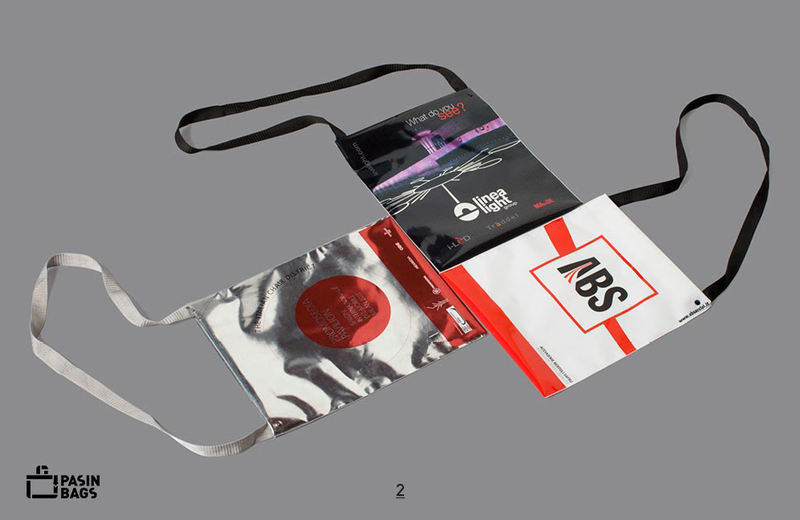 The handles can have different lengths, are made from the same material as the bag and are attached with metal studs or rings. 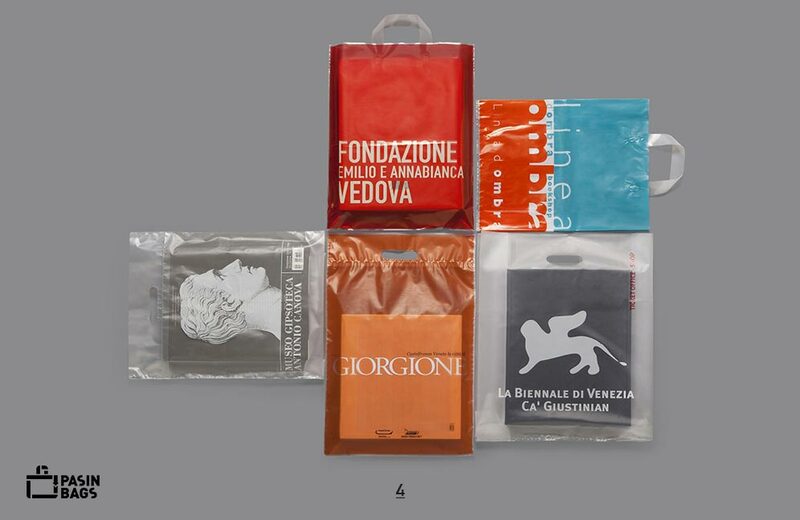 The PVC bags can be left open, or closed with a zip or Velcro strip. 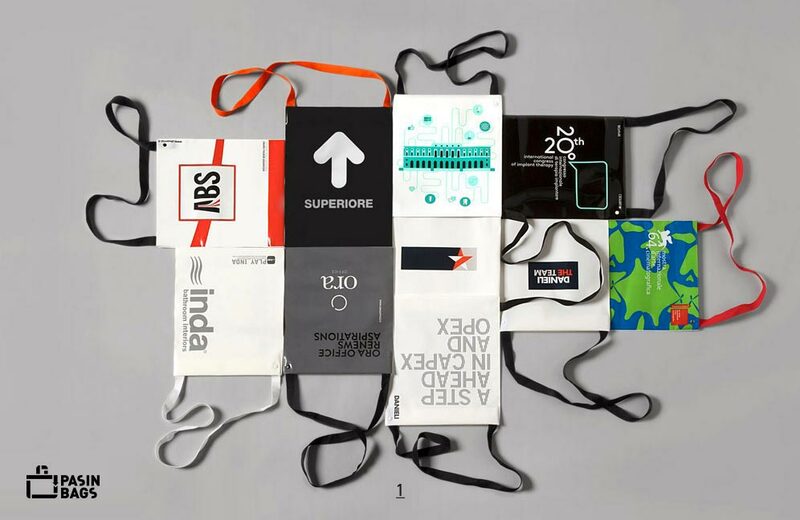 The shoulder bag version is particularly suitable for trade fairs and events, also due to the material’s resistance. The long nylon handles can be sewn or attached with studs having steel, gold, white or black finish.